Newsroom Home News Stream Can We Text You? California's courts are looking at new ways to provide services by text. Have you gotten a text from your doctor’s office lately? How about from your favorite restaurant to confirm a reservation? 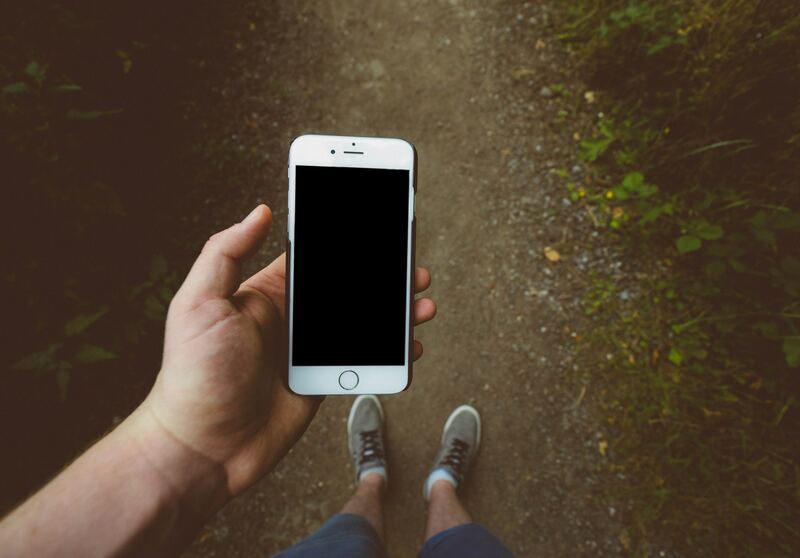 As Californians do more business on mobile devices, the state’s courts are joining in on the trend. In nearly a dozen counties (and counting), you can now get pinged with text message updates about your jury service. Others will remind you in advance about an upcoming court date, or text a link to pay your traffic ticket. 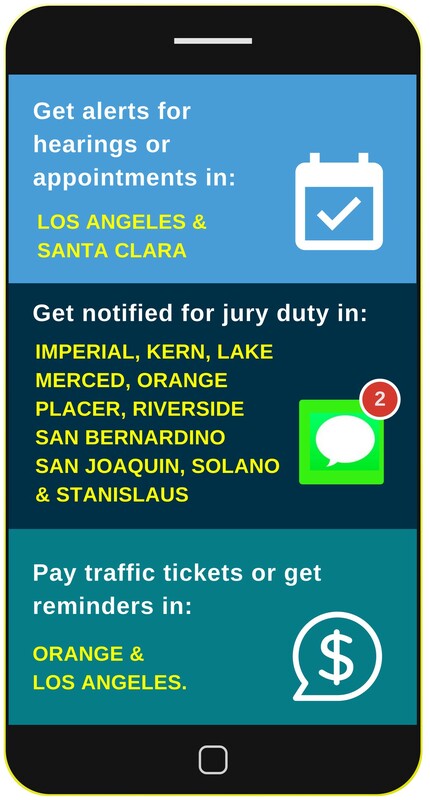 When Santa Clara County officials learned that nearly half of people issued tickets for low-level offenses were missing court, they found a solution in text messaging. Failing to appear in court has serious consequences: an arrest warrant is automatically issued even in minor criminal cases. The Santa Clara County court was issuing 17,000 arrest warrants each year, at a cost of nearly $11 million. Officials researching the issue found that a handful of other counties had come to the same conclusion: reminder systems are consistently the best way to reduce the number of people skipping court. Such systems address some of the more frequent reasons people may miss court—such as losing paperwork, forgetting to rearrange work schedules or being unable to make child care arrangements. Santa Clara County's program costs about $200 per month to send unlimited text messages, automated phone calls or emails—the same cost as jailing a person for a single day for missing court. The county now sends 30,000 reminders per year in English, Spanish and Vietnamese, and its failure to appear rate has dropped by 10 percent. Santa Clara County's program costs about $200 per month to send unlimited notification texts—the same cost as jailing a person for a single day for missing court. In Orange County, people can text the court with their case number and immediately get a link to pay fines due in traffic, infraction and criminal cases. “We had people waiting in Disneyland-type lines to get customer service,” said David Yamasaki, Orange County’s court executive officer. Even as the service was still ramping up, the court received nearly 1,000 text transactions in the first two months. The more than half a million people summoned to jury duty each year in Riverside County once had to make daily calls to learn whether they were needed at the courthouse. No more. Now, they can get evening text updates to see if they need to report to the courthouse the following day. The court sends about 6,000 texts weekly. Nearly a dozen county courts offer these text updates, with several more counties poised to launch similar services soon. "People have taken to it really well—especially the younger generation," said Riverside County jury manager Joe Diaz. "They tell me, 'this is great because life is so busy, and I get reminder texts every night that I'm on standby, or a text that I'm supposed to come in at 8 a.m.'"
So what happened when Diaz got his own jury duty summons a few weeks ago? "Of course I signed up for text alerts," he said with a laugh. "It worked really well."